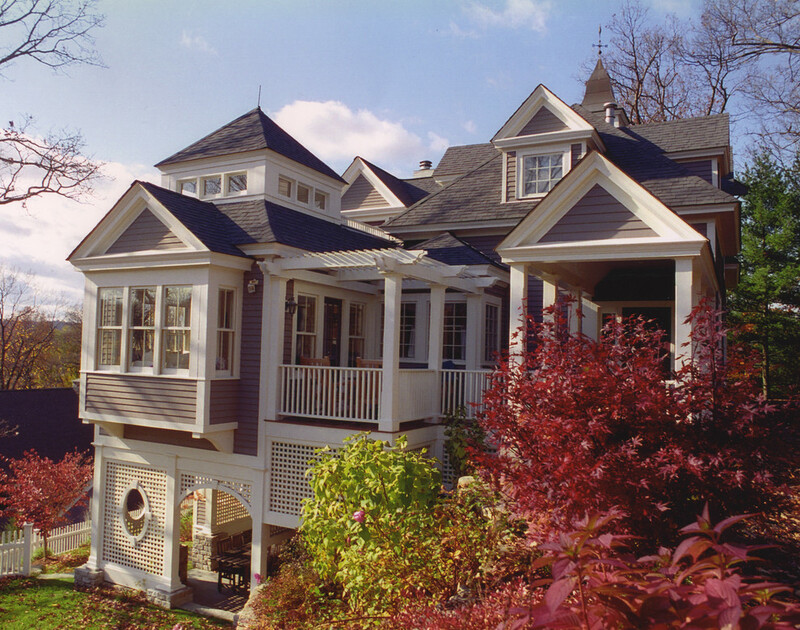 A jewel-box family room addition with a cupola, a small deck that bridges to the entrance porch and a covered terrace below the patio. The varying rooflines and connections with the existing carriage house posed a welcome design challenge. This house was featured on “This Old House”, the PBS television series.